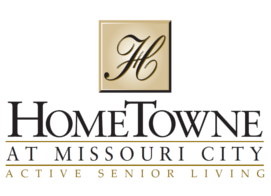 HomeTowne Missouri City, an active senior living community, optimizes comfort and offers an array of residential, recreational and social choices specifically dedicated to the active senior at affordable prices, which included a long list of community interior and exterior appointments. Developed with careful attention to both comfort and design, each building supports the needs of people age 55 and better. At HomeTowne Missouri City you can experience the peace of mind of a gated community, while our friendly, knowledgeable staff ensures your comfort in your new apartment home and in our beautifully decorated clubhouse. © Copyright 2019 . Integrated Property Management, Inc. All rights reserved.